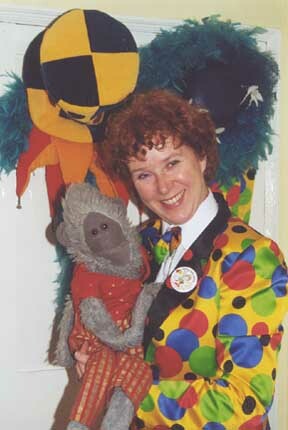 Jenny-any-dots and her puppet Cheeky Monkey have been entertaining children for 17 years. Whether it is one hour of entertainment or the whole 2 hour party including games, the children are enthralled by her mixture of magic, balloon modelling and original puppet show. Hundreds of thank you letters testify to their enthusiasm.